Take part to our SURVEY on online platforms! 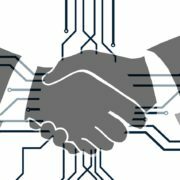 We have just launched a survey on the regulation of online platforms in the sharing economy and we would greatly appreciate your support! Please, take part to our survey! 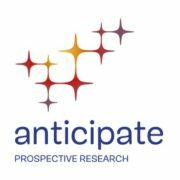 You will need just few minutes and you will greatly contribute to our research! Feel free to share this message with your contacts. The survey is in English, French and Italian. http://www.rosels.eu/wp-content/uploads/Screen-Shot-2018-07-25-at-17.31.36.png 237 236 Rossana Ducato http://www.rosels.eu/wp-content/uploads/rosels-header-logo.png Rossana Ducato2018-07-25 10:30:202018-08-26 21:19:05Take part to our SURVEY on online platforms! 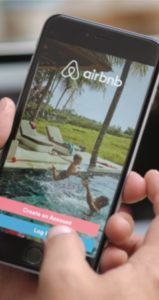 In the area of short-term furnished rental, in particular passing by Air BNB, France has adopted a complete regulation. The rules focus on owners who offer short-term rental of dwellings they do not occupy, i.e. secondary residences. It is then necessary, before any announcement online, to make an administrative pre-rental declaration, and to address it to the mayor of the municipality where the housing is located. 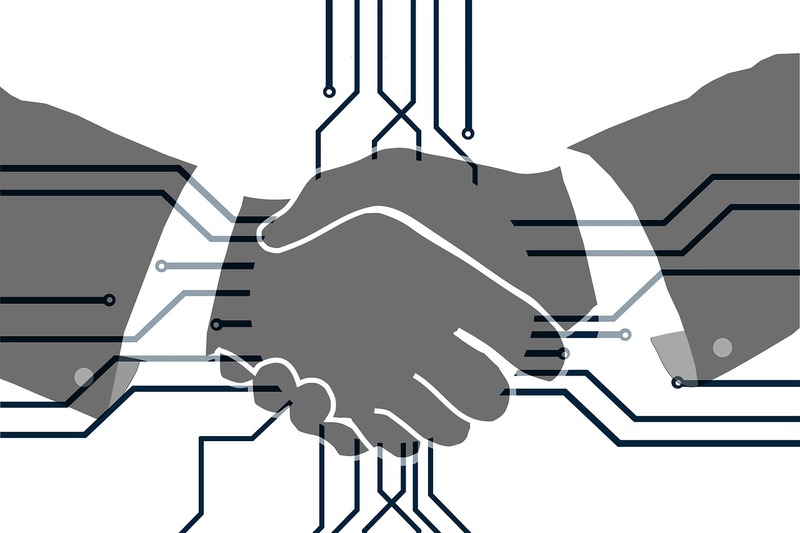 The platforms are also responsible and have an obligation to inform the owners about their obligations, and must ask them for a declaration on the honour attesting the respect of the rules. The municipal declaration number must appear in the ad on the site. The platform must also ensure that an owner who rents his own accommodation does not exceed 120 nights per year, beyond which the dwelling can no longer be considered as his main residence (he must therefore comply with the rules for secondary residences). 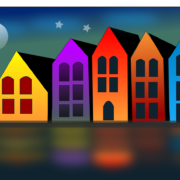 These national rules in fact provide only general information on the regulation of the short-term rental of furnished dwelling. French cities and metropolises exceeding 200,000 inhabitants may adopt specific rules and have a much stricter policy. This is the case of Paris, Lyon, Marseille, Toulouse, Nice, Nantes, Lille for example (The full list of cities according to the number of inhabitants is available here). But the rules established in the metropolises apply as well in the main city as in all the other cities composing the metropolis. Thus, in Nice, the rules apply in the centre of Nice but also in villages such as Utelle or Isola, which have fewer than 1000 inhabitants. Also, it is essential to learn about local regulations if the housing is located in a large city or in a metropolis. Let us take the example of Paris. 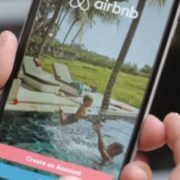 The municipality regularly communicates its desire to limit the development of short-term rental platforms and its willingness to act to avoid the transformation of the central districts of Paris into neighbourhoods without inhabitants, and mostly composed of furnished apartments for rent. The Ile Saint-Louis or the boroughs around the Louvre are particularly targeted. In these places, it may be more profitable for the owner of a dwelling, to rent it to tourists rather than rent it year-round to a person who will make it his main residence. In Paris, a person wishing to start a short-term rental activity in a furnished dwelling must not simply make an administrative declaration. He must obtain a municipal authorisation. The procedure obliges to furnish several documents but also the respect of the urban planning rules. To avoid a shortage of housing, the municipality of Paris has set up a compensation system. The main rule is that, an area which will be used for economic activity, such as short-term furnished accommodation, it should not be classified as a dwelling. It this is the case, an administrative transformation is necessary. This transformation cannot take place if the owner does not, at the same time, transform an equivalent surface into a dwelling. Compensation in fact presupposes communicating vessels. The conversion of premises used for economic activity cannot take place unless an inverse transformation takes place at the same time by the same owner. The owner must therefore be an owner of at least two properties, one being a dwelling and the other serving an economic activity, such as a shop. The shop must also be at least the same surface area as the dwelling. The compensation mechanism will make it possible to transform housing on an economic surface, authorising the short-term rental activity, but also the shop, which will become compulsory a classic housing, to rent to a person who will make it his main residence. This stage of the procedure is mandatory and the municipality does not issue the authorisation to a furnished apartment owner who does not justify having made the compensation. Failure to comply with this rule is punishable by a civil fine of € 50 000 and an obligation to rehabilitate the dwelling with a penalty of € 1 000 per day and per square meter. The penalty pay therefore be very high. Other cities in France have set up prior authorisation, even if this is not always accompanied by compulsory compensation. This is the case, for example, in Lyon (compensation in certain districts) or in Marseille, where authorisation does not presuppose compensation. Actually, it is advisable to inquire about the local rules as soon as the housing belongs to a large city or metropolis. Also, housing located in the metropolitan area of Nice does not require compensation, but is subject to an authorisation, which can be issued of the same owner only up three dwellings, and for a maximum period of three years, renewable two times. These limits may also exist in other municipalities, such as Strasbourg, where compensation is only required for owners who apply for a change in use for a maximum of two units and for a period of 9 years. These cities do not hesitate to set limits to limit the development of the furnished tourist rental. Local regulation is therefore of fundamental importance and the margins of freedom left by national regulation are primarily for municipalities and not for homeowners. To conclude, local regulation is particularly important for short-term rental in France. Although the national rules provide for a broad outline of the legal framework and taxation, cities and metropolises may have major limitations, which may vary from one city to another. http://www.rosels.eu/wp-content/uploads/accommodation-151134_1280.png 874 1280 Aurélien Fortunato http://www.rosels.eu/wp-content/uploads/rosels-header-logo.png Aurélien Fortunato2018-02-20 14:20:422018-02-22 22:19:52Short-term furnished rental: the importance of local French regulation. The Collaborative Cities for Collaborative Entrepreneurs (City4coEN) project held its Steering Committee meeting on Tuesday, 16 January. 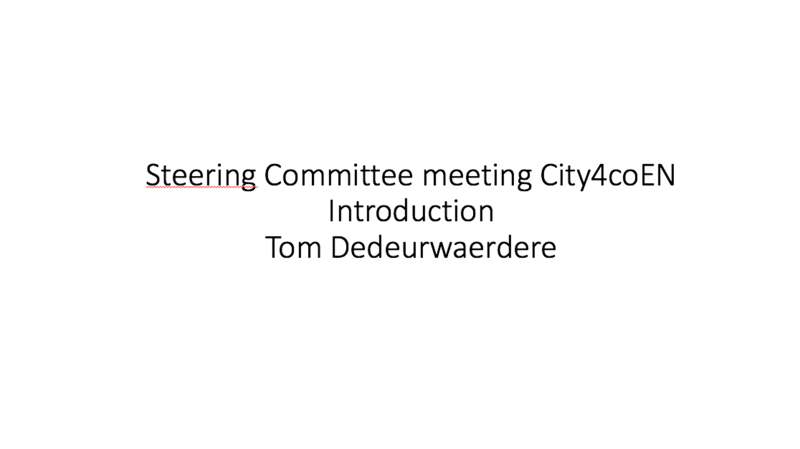 In the first part of the afternoon, project promoter Tom Dedeurwaerdere introduced the project, outlined the team’s view of the collaborative economy and the work conducted to date. 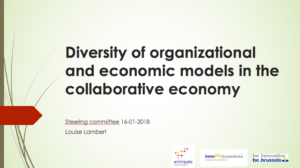 Researchers Elisabetta Severi and Louise Lambert respectively presented the mapping of collaborative initiatives in the four sectors of interest (mobility, food, housing and object-sharing) in Brussels and their organisational and economic models, based on the typology developed by Nyssens & Defourny (2017). 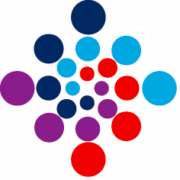 The policy brief that provides further background on this theoretical framework, previously presented at the stakeholder workshop on 4 October 2017 can be dowloaded here. 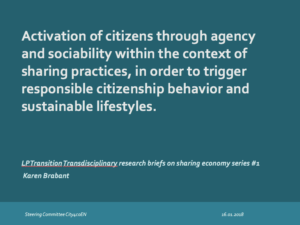 Karen Brabant presented two key terms that are crucial for understanding sharing practices and the potential for the collaborative economy to achieve achieve greater sustainability: agency and sociability. For further reading on these concepts and examples in the Brussels-based collaborative economy, the relevant policy brief can be accessed here. 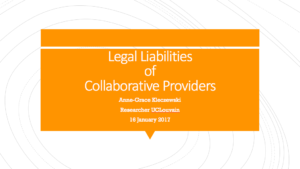 Anne-Grace Kleczewski discussed the legal liabilities of collaborative providers and the challenges presented by the current legal vacuum in this respect. The second part of the meeting addressed policy measures that aim to support the collaborative economy. After a brief overview of results collected through interviews with representatives of public administrations, the participants of the Steering Committee meeting contributed, in true collaborative fashion, to completing the list of measures (in Belgium or inspired from abroad).